To promote innovation and pave the way for a robust and sustainable digital ecosystem in the country, Pakistan’s top telecom and digital services provider Telenor Pakistan powered the Innovation HackFest 2018 through its digital startup accelerator Telenor Velocity. Co-powered by Telenor Microfinance Bank, the Innovation HackFest 2018 was organized in partnership with NSPIRE, NetSol’s business and tech incubator. The event featured a 48-hour hackathon on Artificial Intelligence and Blockchain, a design sprint in which subject matter experts gathered to create solutions to problem statements by the end of the event. Over 25 teams from Lahore, Karachi, Islamabad, Sialkot and Peshawar, selected from over 125 applicants,converged atthe NetSol IT Village last weekend to showcase their problem solving skills surrounding emerging technologies. Every team was given five problem statements to choose from and a fully equipped work space to help find their solutions. Salim Ghauri, Founder and CEO of Netsol Technologies did the honor of officially opening the event, followed by Madiha Parvez, Head of Digital Accelerator, Telenor Pakistan and Umar Shahbaz, Head of Data and Digital Distributions, Telenor Microfinance Bank Pakistan; who emphasized upon the importance of digital disruption and open innovation. Theparticipants were also treated to the appearances of prominent mentors from the IT, Telecomand Fintech industries who fueled their ideas and helped transform them into working solutions. The final submissions were then thoroughly evaluated by an acclaimed panel of judges includingDr. SaadKiani, Head of Digital Partnerships and Business Development at Telenor Pakistan,KhurramRahat, Director Business Development, ‘Data as a Service’ (DaaS) & Cloud at Telenor Pakistan,Umar Shahbaz, Head of Data and Digital Distribution at Telenor Microfinance Bank,MuradBaig, Global Chief Innovation Officer at NetSol Technologies, Ali Aurangzeb, Head of APAC Marketing at NetSol Technologies. The tournament came to a thrilling close with Usman Shahid, Rahim Rasool and Fawzan Ahmed from Karachi emerging as the Innovation HackFest 2018 winner and taking home the prize money worth PKR 250,000. Their solution was around AI enabled chatbot. Taha Haq, Salman Khan and Abdul Sami from Karachi were declared the 1st runner-up winning the PKR 125,000 prize,while Israr-ul-Haq, Saad Arshad and Ali Hamza from Lahore became the 2nd runner-up winning the PKR 100,000 prize.A special prize of PKR 25,000 was given to Sara Shahid for breaking barriers by being the only female contestant. All participants received recognition certificates for the stimulating event. “Telenor Pakistan has been a key proponent in advancement of a sustainable digital ecosystem in Pakistan and the Innovation HackFest is one of our most powerful initiatives in that direction,” said Irfan Wahab Khan, CEO, TelenorPakistan. “It’s exciting to see aspiring technopreneurs from across Pakistan converge on this platform to build solutions around emerging technologies and put Pakistan on the map of digital innovation.Through initiativeslike these, we hope to let innovation and creativity flourish and encourage young talent to develop new and progressive ideas for betterment of the society”. While addressing the occasion, Mr. SalimGhauri, Founder & CEO of NetSol Technologies praised the skills of the participants and assured the talented youngsters that the doors of NetSol will always be open for those who set out to make a difference. 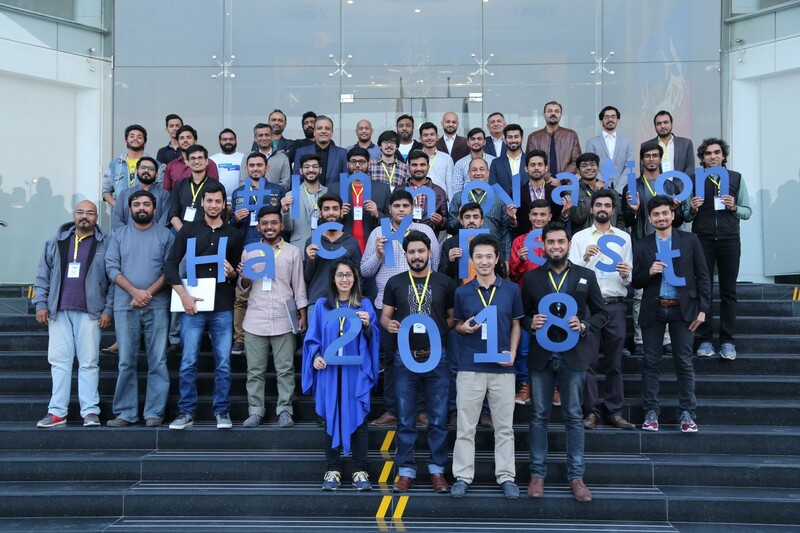 Through programs such as the Innovation HackFest, Telenor Pakistan hopes to drive greater innovation that will ultimately result in the development of unique solutions for the many challenges faced today.